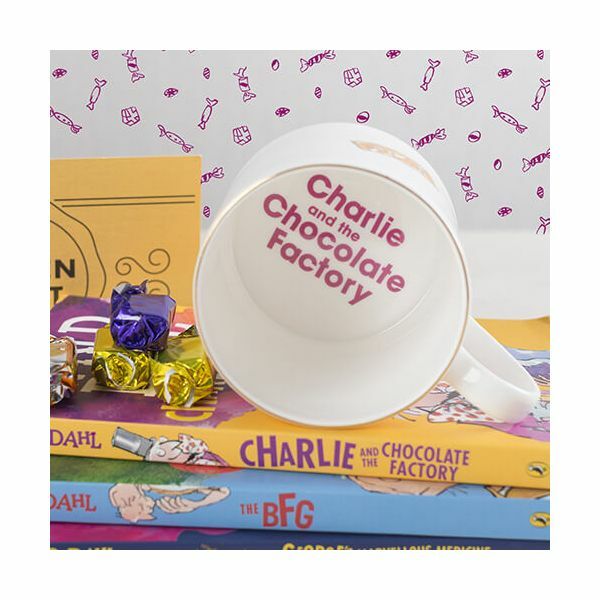 This stunning mug is ideal for serving tea and coffee and features Charlie and the Chocolate Factory where anything is possible. 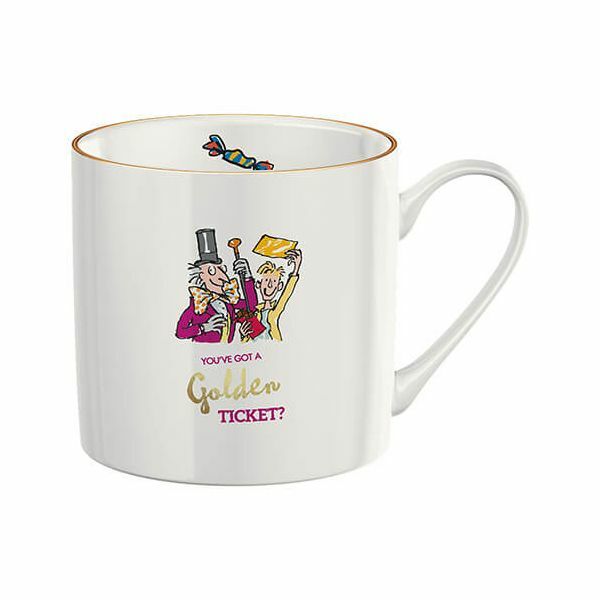 Made from fine bone china this illustrated story mug has real gold detailing for a delicate finishing touch. 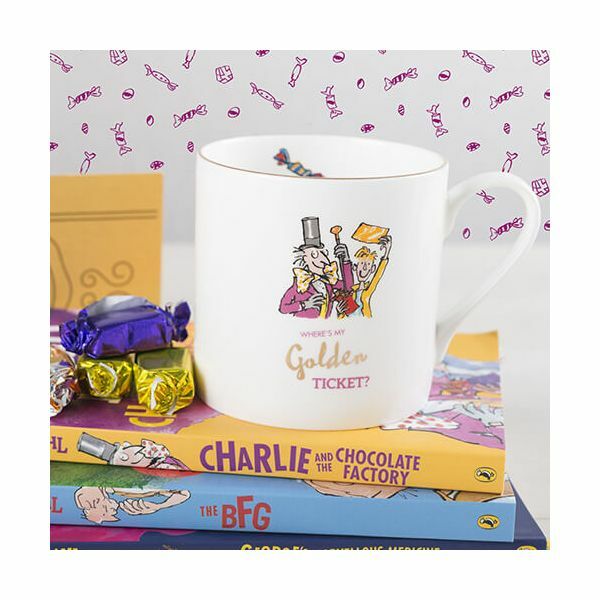 Illustrations appear inside and outside the mug including the base feature Willy Wonka with Charlie with the words 'You've Got A Golden Ticket?' on the side.